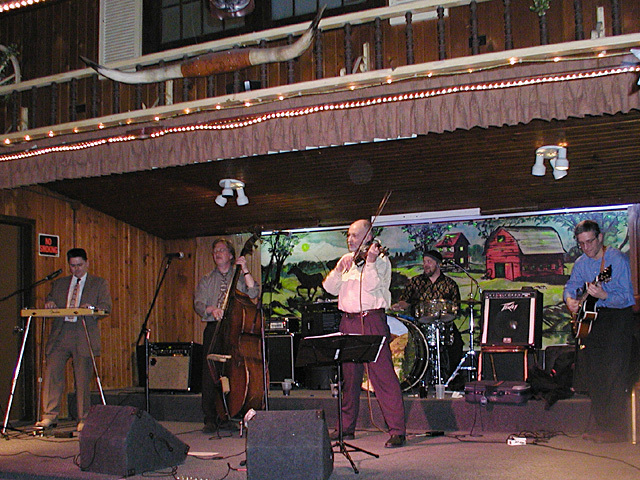 On steel with The Western Box Turtles at the Park Ponderosa in Madison, WI-1/5/05. 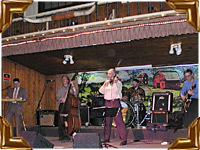 The coolest ballroom I have ever played! 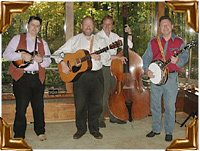 Keith, Mark Hembree, Danny Smith, Andy Pagel, Mark Rattner. 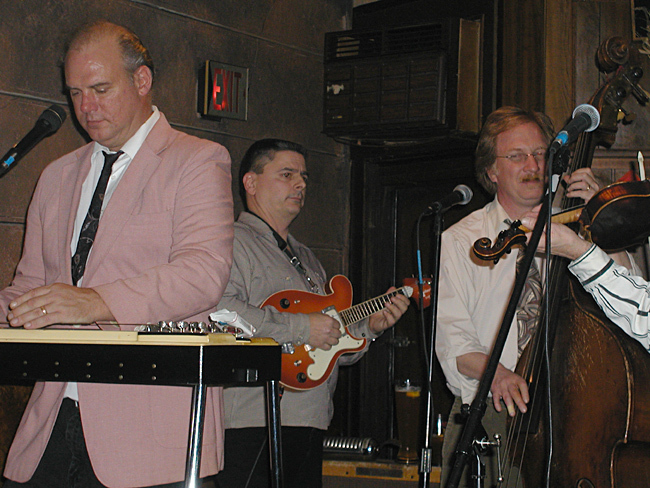 The Box Turtles reunion show with Asleep At The Wheel's Eddie Rivers on steel-11/24/04. 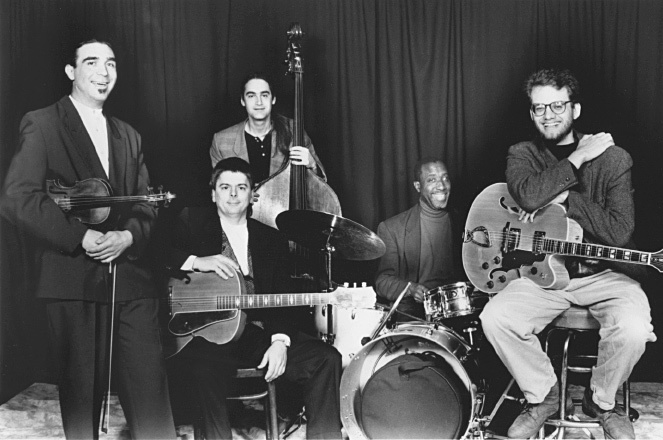 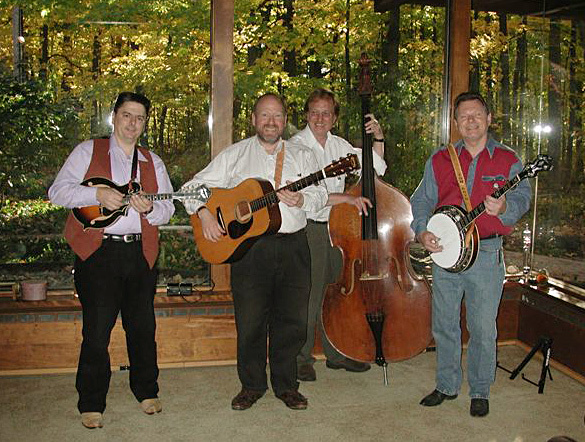 On rhythm guitar with The Hot Club of Chicago 1997. 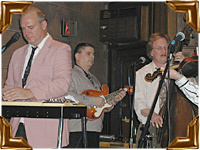 (L to R) Steve Gibons, Keith, Lou Marini, Morris Jennings, Mike Allemana. 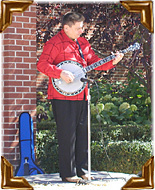 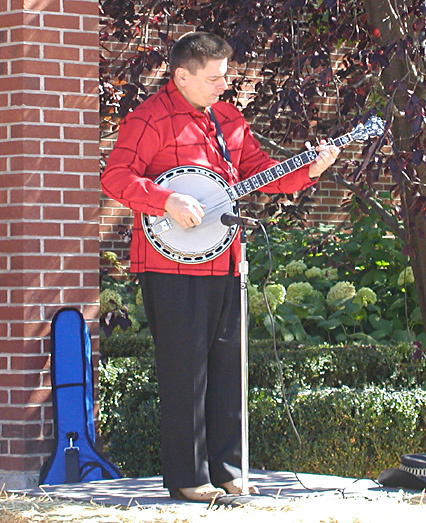 Performing solo at Cantigny Park in October 2004.